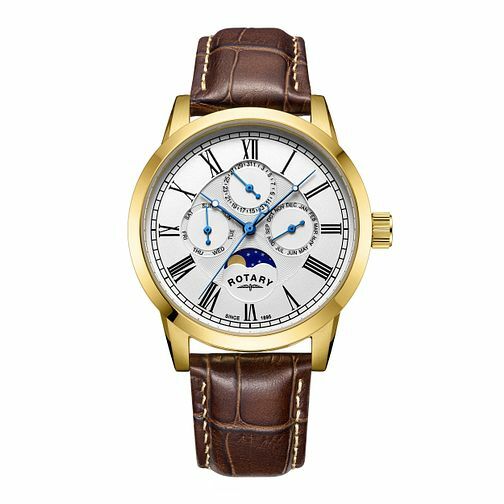 This Rotary men's watch with Swiss quartz movement is a stylish design to suit any man. 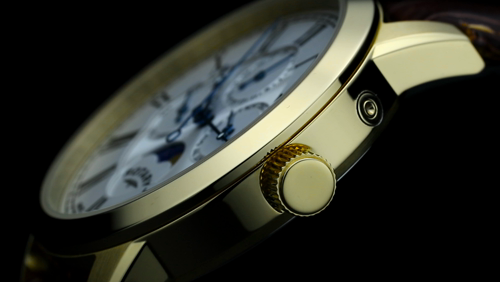 This watch has a fantastic array of unique features, that add modern functionality to a classic design. This watch has day, date and month sub dials on the traditional dial that features Roman numeral hour markers and distinctive blue hands. Rotary Men's Brown Leather Strap Watch is rated 5.0 out of 5 by 2. Rated 5 out of 5 by Anonymous from Great Watch Fantastic watch exactly what i was looking for, watch was in perfect condition and well packaged and arrived ahead of schedule.